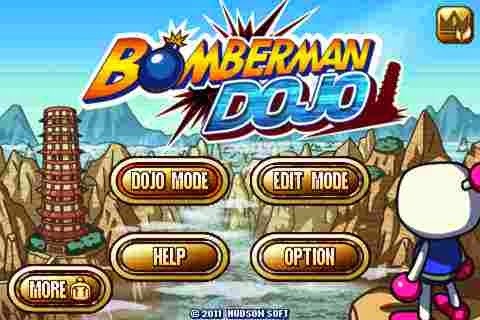 LETS PLAY NEW BOMBERMAN for iPhone/iPod touch! "Bomberman" is a fun-for-all action game where players run around a grid-like level, setting bombs to blast the other players with its blasts. "OFFICIAL"--Try to clear 50 stages of bomb battle and bestow the honor of the title, "Meijin", which is given to the best of Bombermen who arrived at the top of the Tower of Bobal. "TRAINING" --Go for the hi-score and hi-rank. Bomberman Dojo also includes an exclusive map editor so that you can tweak stages or create new stages from scratch! Your customized stages can be uploaded to the server and can be downloaded to be shared with friends or anyone around the globe!